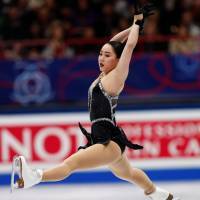 Wakaba Higuchi could likely relate to the line by actor Hal Holbrook in Oliver Stone’s 1987 classic “Wall Street” because she was on the precipice of disaster when she took the ice for her free skate at the world championships in Milan on Friday night. There comes a point in every athlete’s career where their future is determined definitively. It could be an instance that signals ascension, decline, or a leveling off. When this time arrives, athletes either rise to the occasion, fold under the pressure, or turn in a mediocre outing. This was a defining moment for Higuchi. The question was, would she define it or would it define her? Thankfully the answer was the latter as Higuchi turned in the performance of her career with a fabulous effort that vaulted her from eighth place after the short program to take the silver medal behind Canada’s Kaetlyn Osmond and ahead of teammate Satoko Miyahara. 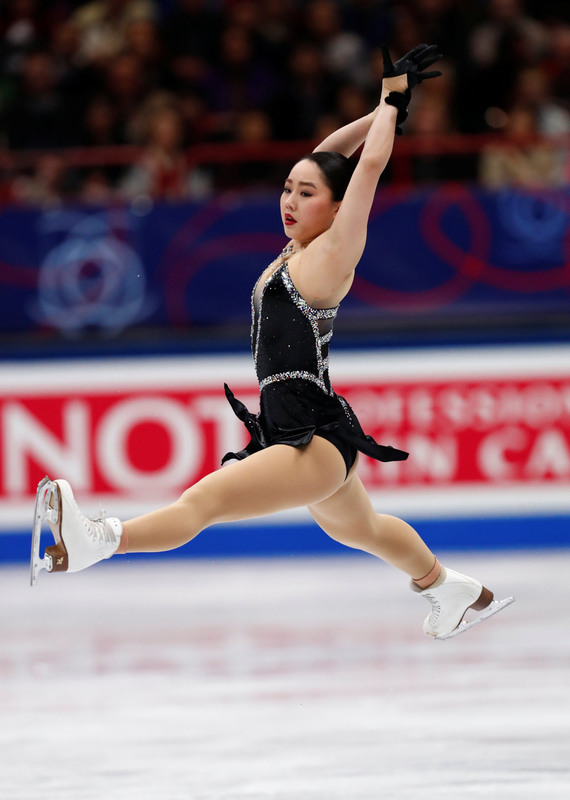 Equally as important, was the fact that her high finish helped ensure Japan’s women would regain their three spots for next year’s worlds in Saitama, a year after losing them for both the Pyeongchang Olympics and this year’s worlds in Italy. Higuchi entered this season’s worlds having struggled mightily in her previous three major competitions. She was 11th at the 2017 worlds in Helsinki, which cost Japan the three spots for this season. 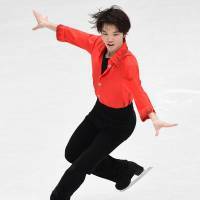 She came in sixth at the Grand Prix Final in Nagoya in December, and with a trip to the Olympics on the line at the Japan nationals later that month, she finished fourth and saw Kaori Sakamoto get the second spot for Pyeongchang behind Miyahara. With Higuchi in eighth place after the short program in Milan, it looked like history might repeat itself. If it had, I don’t think it is a stretch to say that Higuchi’s career might have entered an irreversible decline. 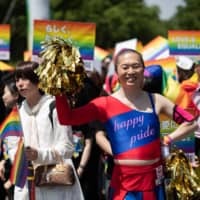 Bottling it four straight times at major competitions would signal a definite pattern that would have decision-makers at the Japan Skating Federation very concerned. Once doubt about their ability creeps in for an elite athlete, it often signals the beginning of the end. Confidence is everything at the highest levels of sports. The 17-year-old Higuchi was devastated after missing out on a trip to the Olympics with her showing at nationals. Everybody who follows skating knows that Wakaba is highly emotional. I read recently where she sat in the lobby of her hotel that night talking until 2 a.m. with a couple of other skaters. That must have been a tough scene. Deep down, Higuchi knew there was nobody to blame but herself. Higuchi fell on the back end of her triple lutz/triple toe loop combination jump in her short program to “Gypsy Dance” last Wednesday, putting her in a pinch for the free skate. With Miyahara likely to make the podium, Higuchi needed to finish in the top 10 to get the job done this time. So with her career and Japan’s three spots for Saitama in the balance, Higuchi turned a potential crisis into her finest hour. It was nothing short of incredible. Higuchi’s free skate to “Skyfall” has been a fan favorite all season and a role she plays well. This time she did it by cleanly landing seven triple jumps and getting level-fours on her spins in a new black outfit. Higuchi’s total score was 210.90 points, while Osmond registered 223.23. Ice Time was especially impressed by the rotational velocity on Higuchi’s jumps. Once she got going, her triples looked like blurs, over in a flash. Brian Orser, considered the finest coach in skating now, has often talked about how skaters “need to take ownership” of what they do on the ice. 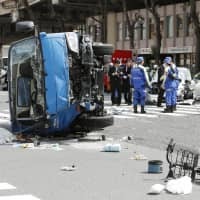 Higuchi, a Tokyo native, did exactly that with her comments on Friday. It is so refreshing to hear that from an athlete these days. No excuses, just the brutal, honest truth. Higuchi credited her increased concentration in practice as a key factor for her results in 2018. “Especially starting at the beginning of this year I started to practice being aware of not making mistakes in practice, and I think I was able to show the result of that here and at the Challenge Cup (which she won last month in The Hague),” Higuchi noted on Friday. “This is the Wakaba Higuchi we know and love,” commented Olympic channel analyst Ryan Bradley, after her free skate. “She can put down so much technical content. She is very mature of a skater for her age. Able to compete with the best of them. Bradley cited how challenging Higuchi’s program was in his remarks. 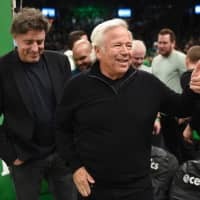 “She had such a difficult program planned,” Bradley noted. “The triple lutz/triple toe is the second most difficult combo you see in the ladies event and she did two of them. Done beautifully. The medal was the second at worlds for the 19-year-old Miyahara (she turned 20 on Monday), after the silver she earned in 2015 in Shanghai. Her score was 210.08. Because of her consistency, Miyahara made the podium, which surprised her. “After finishing my free program I didn’t expect to get this bronze medal so it is very unexpected, but I also think I was stiff and the jumps were small, so again I think I have to do more,” Miyahara admitted. Miyahara acknowledged that her shyness has been a challenge for her. As impressive as Higuchi’s performance was, Kazuki Tomono was equally superb in his free skate to “West Side Story” on the way to a fifth-place finish at his first senior worlds with a tally of 256.11. The pressure was on for the 19-year-old, as in the absence of Yuzuru Hanyu, Japan was relying on him to come through with a solid showing to help retain the three positions for men at next year’s worlds. Tomono, last season’s Japan junior champion, is competing in his first season as a senior and is relatively unheralded in comparison to Hanyu and Shoma Uno. The Osaka native came through with flying colors when the chips were down, hitting two quads and seven triples to come in third in the free skate behind Uno (273.77) and world champion Nathan Chen (321.40). How unexpected was Tomono’s stellar performance? He received only one Grand Prix assignment this season (the NHK Trophy) and came in seventh at it. Tomono was asked what the key was to coming through in the clutch. Uno, meanwhile, displayed great heart in his free skate to “Turandot” on Saturday. Uno was dealing with a right ankle injury that clearly limited his jumping ability. The Olympic silver medalist was just unable to get enough lift to fully rotate his quads, landing just one of the four he attempted. Despite falling three times, Uno gutted it out and claimed the silver medal at his second straight major event. After Tomono’s great free skate, Uno, who was fifth after the short program, had to finish in eighth place or higher so that Japan could retain its three men’s places for Saitama. “I was not able to show my best in either the short or the long program here, but I didn’t give up till the end so I think that’s the result here,” Uno remarked. Knowing that his injury had robbed him of a chance at his first senior world title, Uno displayed real class with his comments about Chen after the free skate. 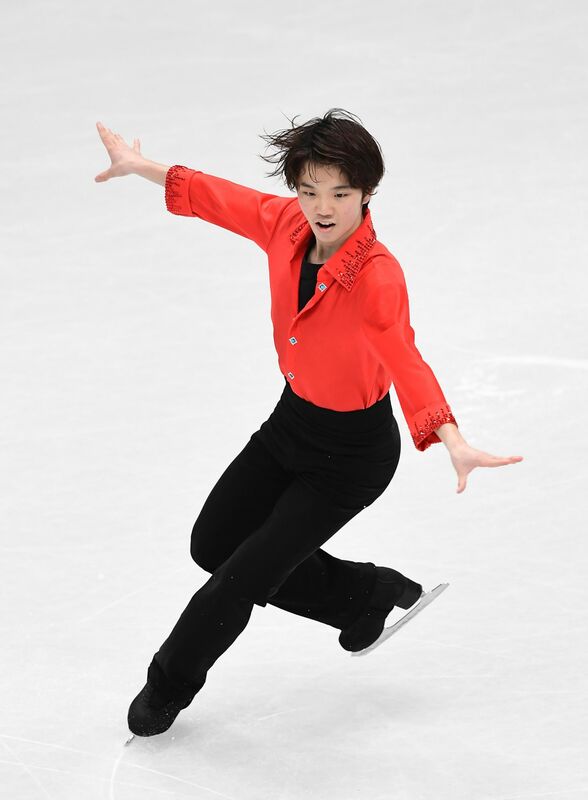 “Many things about Nathan are outstanding, he’s an all-around skater, very well balanced, and not only that but his jumps are very consistent and he has so many kinds of quads,” Uno stated. The efforts of Higuchi, Tomono and Uno, who gave Japan half of the singles medals at worlds, illustrate why I think those athletes in team sports can learn a lot from skaters. The solitary pursuit of singles skating requires incredible fortitude. Out there alone on the ice, with no teammates, nobody to pass the ball to, or have to throw a block for you, they learn quickly what the meaning of courage and determination is. When you watch skaters train and compete for years like I have, you know that anybody who criticizes the sport about its athleticism or toughness is detached from reality.